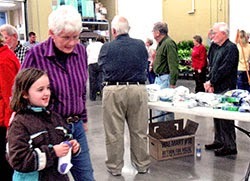 Using an Elks National Foundation Promise Grant, Galesburg, Ill., Lodge No. 894 helped children in need find a new pair of shoes. 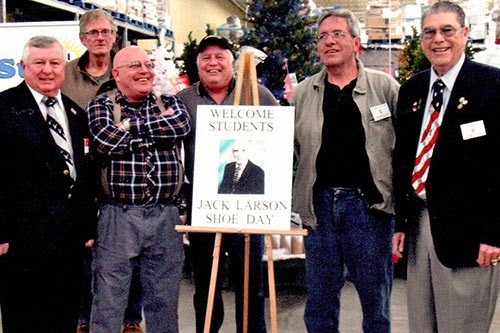 Elks partnered with the local school district and its teachers to determine which students would most benefit from new shoes. Each selected child paired with an Elks volunteer, received two new pairs of socks and was fitted to make sure their new shoes were the right size. “Our project successfully helped 350 needy children in our community receive a new pair of shoes,” says Community Investments Program Project Manager Alphonse Urena.